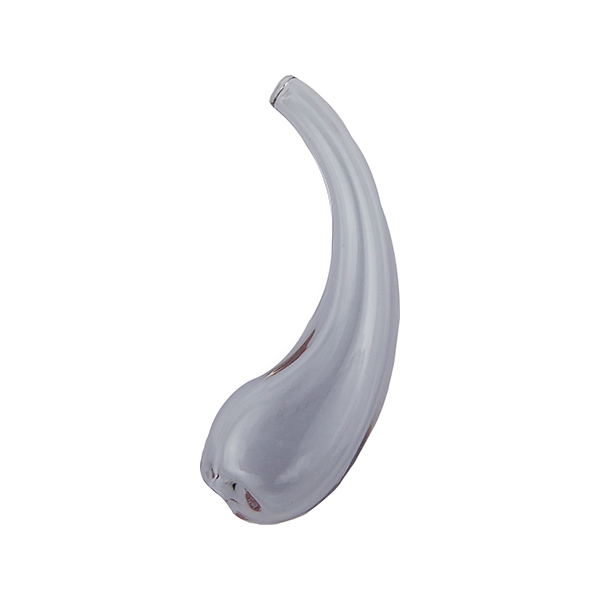 This is a smaller version of our boro curved tubes. The overall length is approximately 45mm and tapers to an approximately 4mm on the small end. You can use this tube with 2 tubes or with just one. Our Design Center has examples you can follow. No two are ever the same shape or length as they are mouthblown in the flames. Two of our beadmakers work together to produce these very unique items.The color is a transparent Alessandrite, which appears blue in indoor lighting and a lilac purple in natural light.